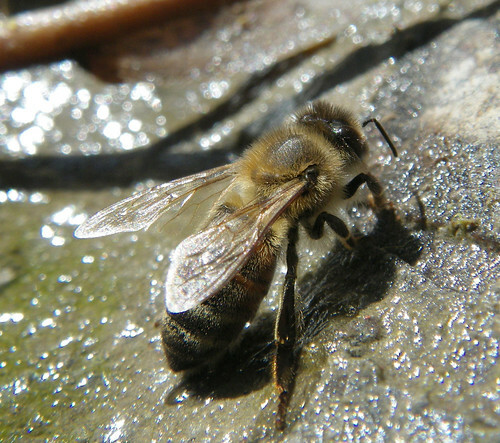 This quick follow up to my previous post on water sources will take a look at what we've been observing in the bee yard the last few weeks. 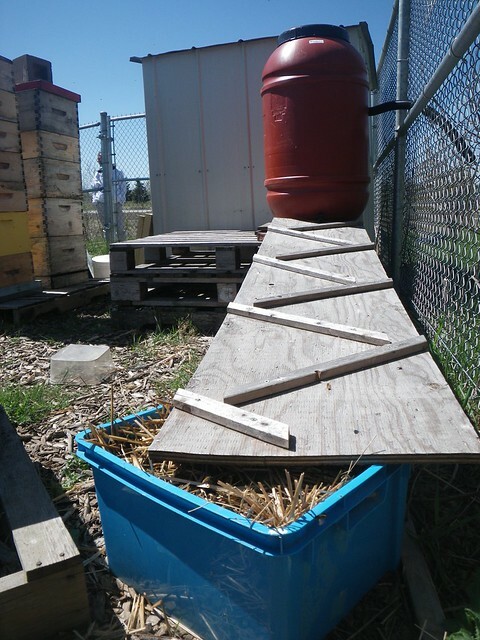 We've set up a rain barrel designed to let a trickle of water zig-zag across a wooden board into a bucket. 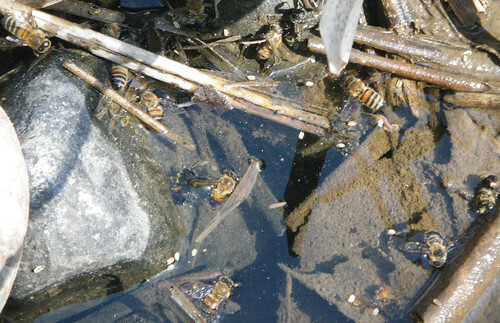 This year has been fairly dry, so although we add water to the barrel during each visit, the board is usually dry and the bucket has water with dead bees floating in it by our next visit. This was the case a few weeks ago, when we also noticed a large number of bees showing a preference for damp soil of a near by ditch to what we had tried to offer them. So we decided to try filling the bucket with straw to make it more accessible. On our most recent visit, the ditch was dry and the bees were flocking to the straw filled bucket en masse. As there were few dead bodies to be seen, I'd say it appears to be a fairly simple and effective option. The above videos also left me with the sense that the straw might be less messy than mud and speculate that it could also be saving them grooming time between sips of water.